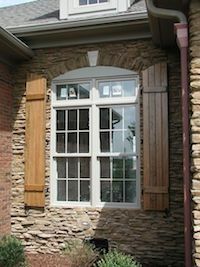 Restore the exterior of your home with HomeTowne Windows & Doors. Our employee installers revitalize your home exterior with ease and precision. Explore our top brands in home exterior replacement products today and talk with our dedicated project consultants today. We offer a variety of exterior siding options to give your home a much-needed and modern upgrade. We sell only the top names in exterior siding brands including LP SmartSide, James Hardie Board, and vinyl exterior siding from AllSide. Our most popular siding remodel option today is horizontal lap siding from LP Smart Side. For more unique and eye-catching siding options, come into the HomeTowne Windows & Doors showroom to view our shingles, shakes, and vertical siding Hardie Board options. Soffit is the under siding of your roof panels. 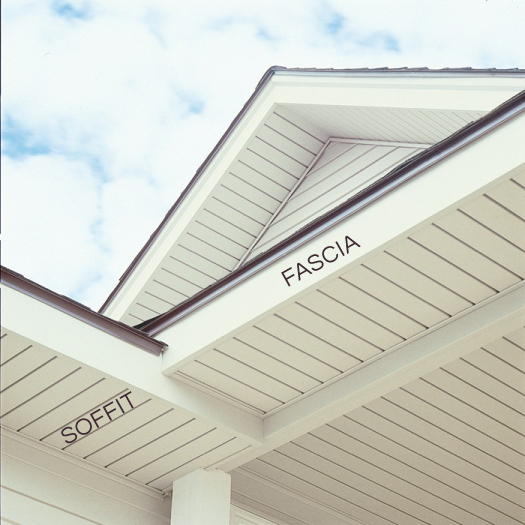 Fascia is the forward-facing wood board that gives your rafters and roofing a finished look. 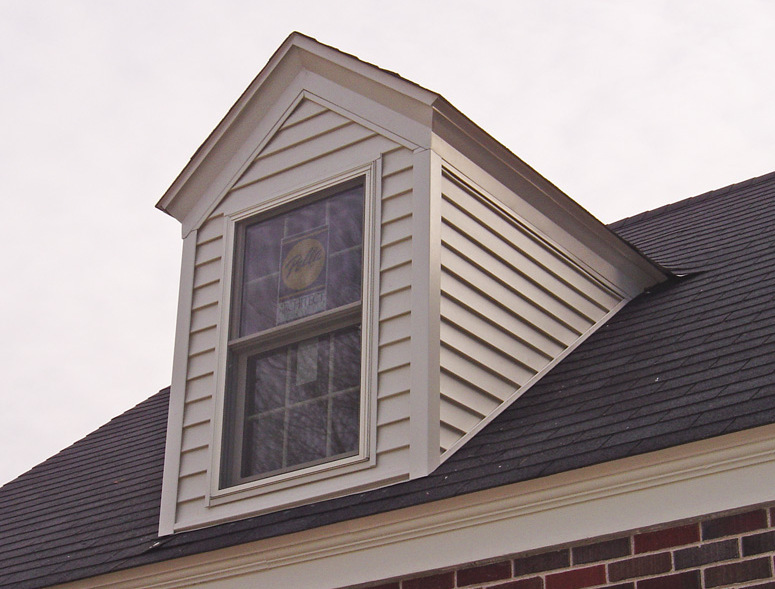 Over time, these exterior panels can become weather damaged, worn out, cracked, and warped. Looking to make an important investment in your home? Replacing your exterior soffit and fascia can spruce up the outside for curb appeal, or give your home the little boost it needs to increase its sale value. Schedule a FREE in-home consultation with a certified HomeTowne Windows & Doors project consultant today! With the numerous replacement trim and siding options available at HomeTowne, your home will look beautiful, elegant, and stand out from the rest in your neighborhood. Finish off your home remodeling with decorative trim options or a breathtaking entryway. The trim colors are limitless! 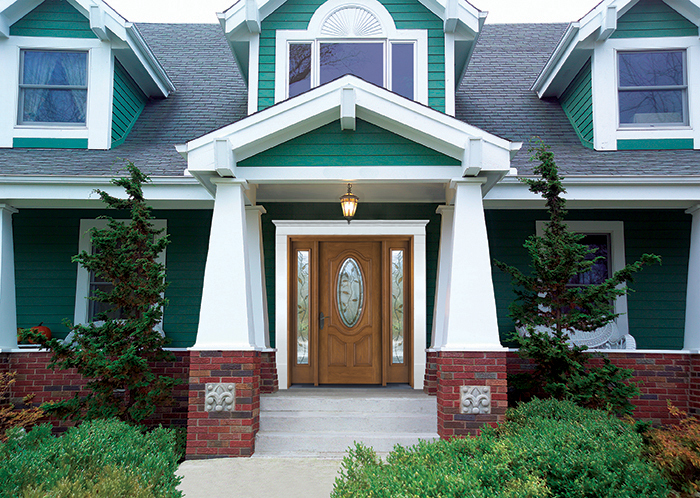 Call HomeTowne Windows & Doors today for color and siding samples! For function or beauty, Hometowne has you covered. We partner with only the best manufacturers to provide you with replacement home exteriors for beautiful curb appeal. Talk with our expert project managers to design your home exterior using the best brand name products in the U.S.
Not sure what you’re looking for? HomeTowne can help. Simply tell us a bit about your project, and we’ll get contact you shortly to schedule your free consultation.